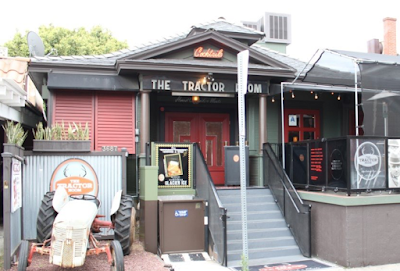 After a decade dishing out deliciousness at 3687 Fifth Avenue in San Diego's Hillcrest neighborhood, The Tractor Room has announced that it will close up shop after service on Sunday, July 10. Owned by Johnny Rivera, who also founded San Diego eateries Hash House A Go Go and Great Maple, The Tractor Room opened in 2006 and quickly became known for its craft cocktails, including an award-winning Bloody Mary, and ample food portions. Now with eleven Hash House locations and three Great Maple locations, Rivera decided it was time to sell Tractor Room to focus on the expansion of his other concepts. The Tractor Room remained a popular San Diego brunch destination throughout its 10 years in business. There is no word yet on who will be moving into the expansive 2,500 square foot space, but we'll be sure to update our readers when we learn more.